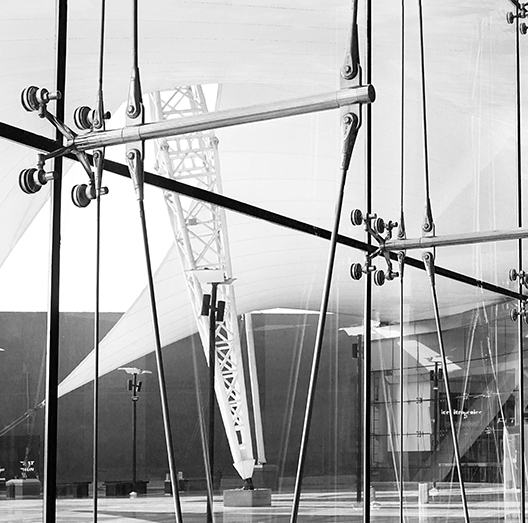 Combining strong but lightweight aluminum profiles with glazed sections, our systems can be faceted, double skinned, curved or angled to create the desired finish, whilst offering maximum light transmission into the building with minimum profile sightlines. The AW86 architectural curtain wall series is designed for the construction of high rise building envelopes where “unitized” frames are produced and glazed in the factory and installed at the site by crane without the use of scaffolding. AW86S : structurally bonded glazing system. 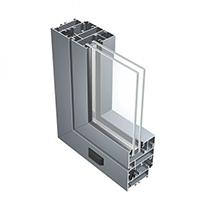 AW86B : curtain wall with mechanical retention of insulated glazing unit. A “Split wall” option also available by placing a main grid structure, consisting of “H” frames, by means of quick-fastening components. 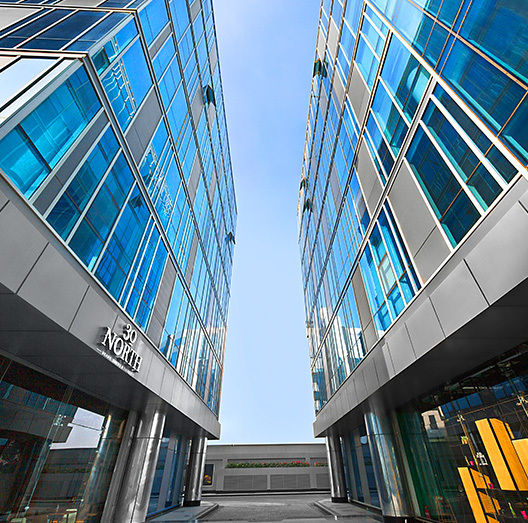 AW86 offers two architectural solutions: the S variant in which the elements of the facade are characterized by the structural bonding of the glazing, and the B variant in which an exterior glazing bead mechanically holds the glass. 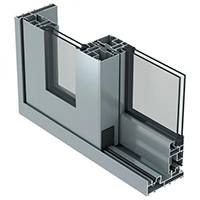 AW86S: structurally bonded glazing system. 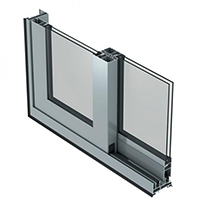 AW86B: curtain wall with mechanical retention of the insulated glazing unit. 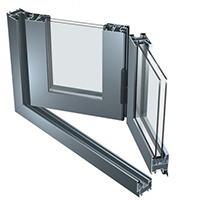 The series offers two operable outward opening window options: top hung and parallel opening. On-site, the installation of the “unitized” system enables workers to work from the inside of the building in a total safety, whilst dramatically reducing installation time and ensuring a high-quality standard of installed finished components. A “Split wall” option is also available. This involves placing the main grid structure, consisting of “H” frames, by means of quick-fastening components. 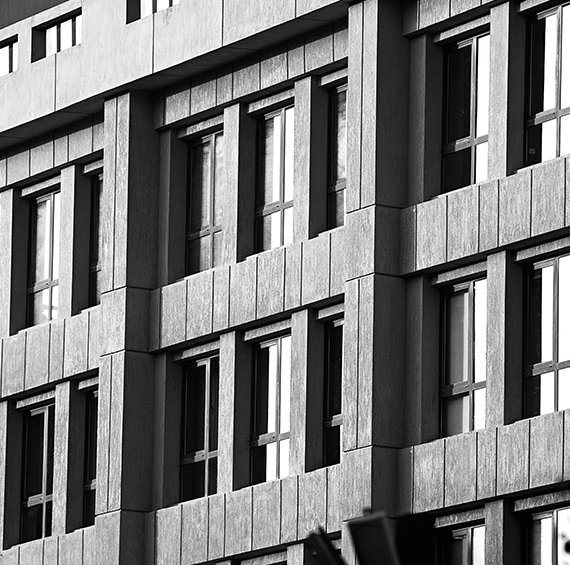 Our aluminum window and door systems are inherently strong, lightweight and sustainable, providing contemporary aesthetic profiles along with exceptional performance. Secure and robust, our systems have been designed to meet and exceed requirements, while a complete range of accessories, design options, and configurations offers unrivaled flexibility in terms of aesthetics and functionality. The 63TT is a 63 mm, flush thermal-break door system with heavy duty hinges and available both inward and outward opening. Use of external corner joint to increase the static performances. Tight seal with double rebate gaskets on the perimeter. Frame is 55 mm deep, sash 55 mm as well. Flush door, both inward and outward opening. Square, rounded or shaped glazing beads to achieve a greater burglar resistance. Glazing/panels thickness : from 10 to 40mm. Compatible with simple or safety “multipoint” door locks. Tilt / Turn and tilt. Swing door, balcony doors, storefronts. 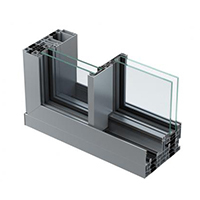 It guarantees optimal quality and sturdiness, This system adopts thermal break bars and strong aluminum profiles to ensure optimal environmental protection. Its hardware is durable and simple to operate. Frame depth: 45mm, Sash depth: 53mm. Internal overlap between sash and frame is 8 mm, which allows to insert hinges with fixing in the groove. Mechanism for turn & tilt, tilt windows and casement. Standard squared or rounded glass bead. Glass/panel thickness : from 4 to 30mm. Fully compatible with other AluK systems. 1 sash / 2 sashes. Casement, turn & tilt windows and balcony doors. Residential and commercial sector applications. 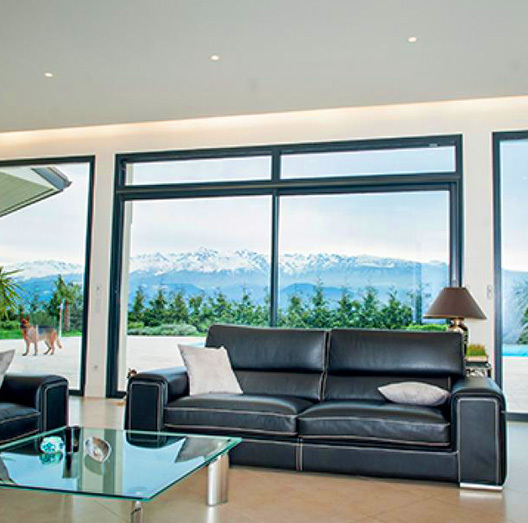 The 53SP is a quality and solid non-insulated window system suitable for residential villas in hot climate markets. 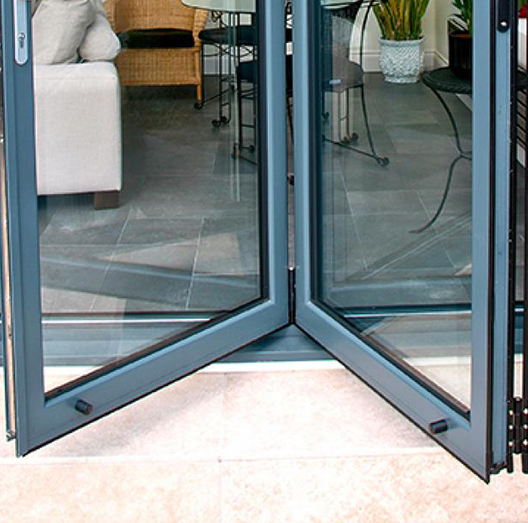 The 45DS is a 45 mm, non-insulated door system that offers optimized design. Frame/sash depth : 45 mm. Squared or rounded glass bead. The affordable solution for all construction types requiring good weather performances, Its simple appearance, and clean lines suit the modern environment design requirements. Its wide choice of applications and technical solutions makes it ideal for all types of residential and commercial establishments. The 45 DS casement is the ideal system for exterior joinery in tropical and hot climates. Our aluminum sliding door systems offer slim profiles and enable large expanses of glazing to maximize light transmission while maintaining internal temperatures and weather tightness when closed. Robust and durable, they are highly secure and rigorously tested to meet industry regulations. Through a wide range of standard and optional features, our sliding door systems can achieve the right look and performance for any project. 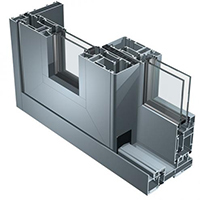 The SC140TT is a 140 mm thermally broken sliding system for windows and doors. Glass thickness : up to 40 mm. Low threshold option for unimpeded access through the door. Sliding or lift & slide. Residential sector for the construction of balcony doors for villas, apartments and towers. Also suitable for the realization of lift and slide solutions, The series is designed for the construction of high-quality frames. The lift and slide mechanism, designed to facilitate the movement of heavy frames up to 400 kg, makes this system very practical and functional. 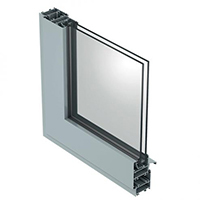 The SC140 is a 140 mm non-thermally broken sliding system for windows and doors. Maximum load : 300 kg/sash (up to 400 kg/sash with additional trolley). Also suitable for the realization of lift and slide solutions, The series is designed for the construction of high-quality frames, The lift and slide mechanism, designed to facilitate the movement of heavy frames up to 400 kg, makes this system very practical and functional. The SC95TT is a 95 mm. All finishes available. Customized finishes on request suited for high resistance to aggressive environments. Uf value W/m²K - 3,5. AWW Classification - 4 / 8A / B2 POS A2 NEG. 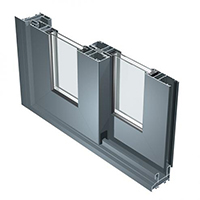 Thermally broken sliding system for windows and doors. Glass thickness : up to 18 mm. Many profile dimensions are possible according to the wind load. It offers a versatile, high-performance solution suitable for various structure types matching most building requirements. Infinium brings together indoor and outdoor living spaces in exquisite harmony. One or more opening panels with large width dimensions up to 3000 mm (W) and height dimensions up to 3500 mm. Holds up to 400 kg panel weight. Available in double or triple track. Glazing options of 38 mm - 52 mm. Floating corner post option for larger opening space. Single or dual colour options, also available in anodised or powder coating finishes. New construction. Residential and commercial. Especially high-end villas, penthouses and commercial buildings such as hotels. Free-flowing spaces are created thanks to stunningly slim sightlines that bathe every surface with natural light. Uninterrupted panoramic landscapes provide complete escapism, without need of escape. While seamlessly integrated floor-to-ceiling glazing reflects the clarity of thought behind every inspired design decision. Fully concealed aluminum outer frame and sash. Flush thresholds. Elegantly simple operation. Infinium’s considered design impresses from every angle. However, its most remarkable design feature barely catches the eye. The impossibly thin 21 mm sightlines create the illusion of large endless spaces. The effect is charming, yet practical. Minimalist, yet undeniably magical. Our aluminum folding door systems combine the strength and lightweight properties of aluminum with form and function of the highest standard. Highly versatile and configurable, they offer maximum control over the style and operation of the doors, accommodating the design specifications of any project. Multiple panels can be added with open in or open outdoor options for faultless operation, with accessibility and security at the heart of our systems. 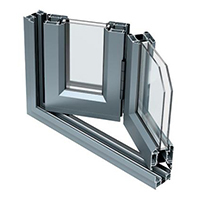 The narrow profile ensures that maximum glazing is achieved, flooding rooms with light. Dimensions: up to 3000 mm high and 1200mm wide per sash. Glass infill: from 28 to 40 mm. Single or double glazing. Max weight: Up to 150 kg per sash. Chamfered and square bead options. Four stainless steel wheels for smooth and consistent operation. Unique, flush line pop-out handle for maximum door opening and square stacking panels. High security hinges, locking mechanisms and high strength roller design provide security and reliability for high traffic applications. 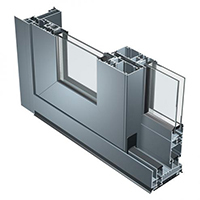 Square or softline frame profiles. Doors and panels can be used in a variety of configurations, style and design. Full range of bespoke hardware available. Available in single or dual colour option and anodised finishes. Up to 6 opening sashes. Uw value W/m²K (Double glazing) - 1.6 W/m²K. 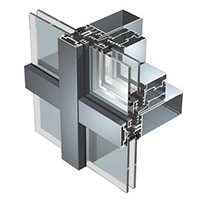 Uw value W/m²K (Triple glazing) - 1.4 W/m²K. Uf value W/m²K - 2,7-3,4. Maximum sash load (kg) - 100. The BSF70 is a versatile and flexible, thermally broken folding door system, available in a wide range of configurations to create the look you desire. Multiple doors can be combined with open-in or open-out options, in a variety of styles to create a wide expanse of opening. 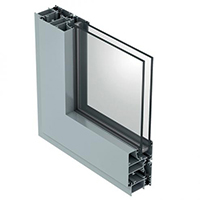 The narrow profile ensures that maximum glazing is achieved, flooding rooms with light. 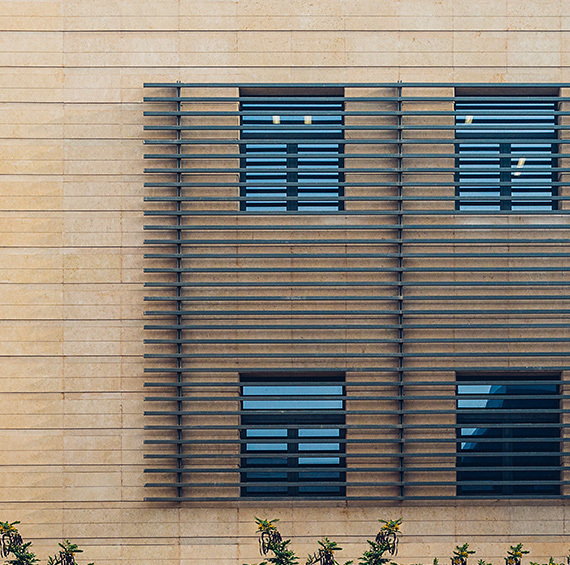 Our shutters and louvers are designed to provide outstanding protection against external agents, such as noise, pollution, and weather. Our low maintenance screen solutions can be integrated into doors and windows, offering a secure, high-performance choice that can enhance the look and feel of any building. The 45P aluminum shutter is designed to meet multiple aesthetic and functional requirements in compliance with local building traditions. Depth : Frame : 45/52/53 mm; Sash : 45/52 mm. Infill : 36 (25) mm. 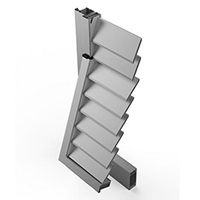 Type : Slat, Fix louver, adjustable louver, panel. All surface finishes available. Customized finishes upon request for high resistance to aggressive environments. Classical rounded, squared, sliding inside of wall and outside of the wall, folding door, classical, shutter, Florence, Genoa, liberty. Individual houses, villas, flats - Ideal to the construction of external shutters with the shape dedicated to the specific area. The 45P series is the ideal solution for reducing maintenance cost and providing additional benefits for refurbishment or new buildings. 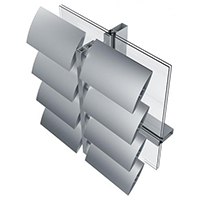 The range includes various versions of blinds in various design to suit specific area. We also supply glass for curtain walls, structural glazing, storefronts and point-supported glass structural solutions. Please visit our Projects section for more examples.